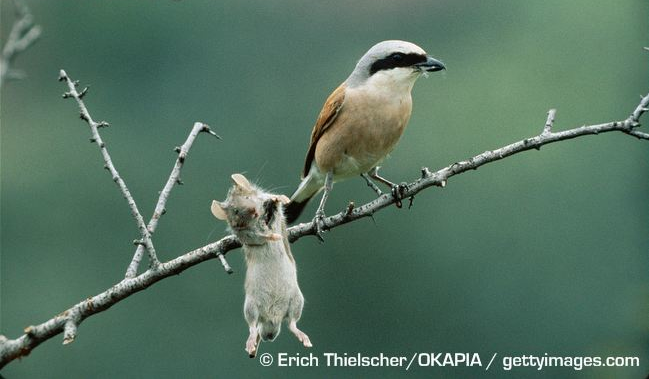 Cuckoos aren’t the only birds that play the “nest parasite” game, one other species that does so being the “cuckoo finch” of the African grasslands — a bird that, except for its reproductive habits, is by all appearances pretty much an ordinary finch. 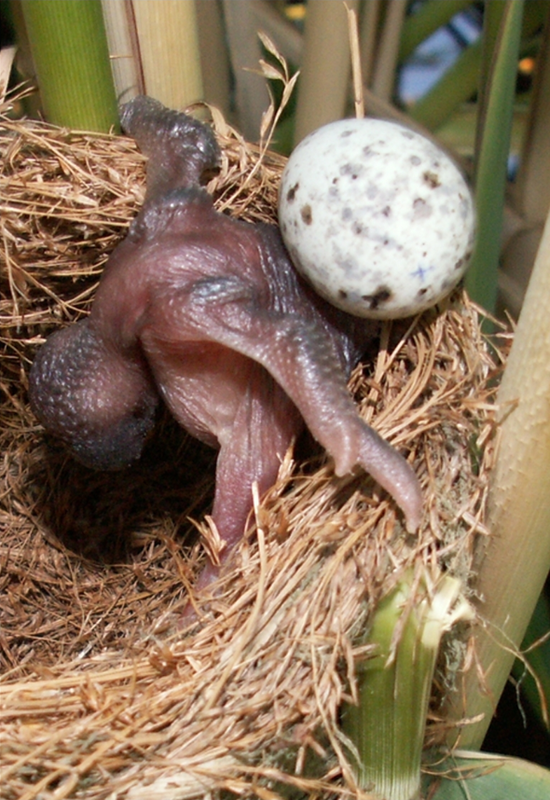 The cuckoo finch doesn’t have any extraordinary adaptations for its lifestyle; but some of its potential victims do. University of Cambridge researchers investigating the cuckoo finch and its hosts in the wild found that host species had acquired adaptations to defeat the cuckoo finch. 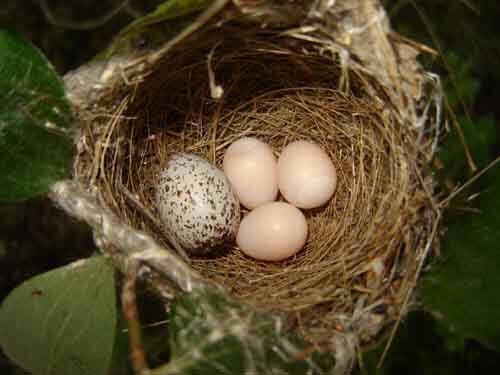 Some, like the red-faced cisticola, have become very discriminating in identifying cuckoo finch eggs, which are then disposed of. However, this behavior is likely to lead to an “evolutionary arms race”, selecting for cuckoo finches that lay more convincing fakes. 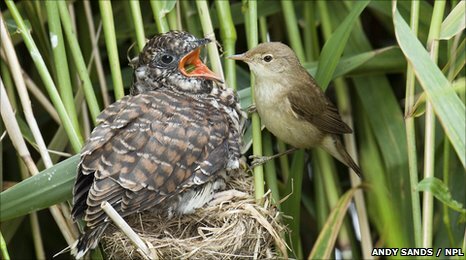 The naive question, of course, is why all birds targeted by nest parasites don’t use this neat and seemingly unbeatable trick. The answer is evolution doesn’t work that way; host birds can’t simply hear of a good idea and then implement it, and just because a good trick is possible doesn’t mean there’s any certainty of it happening. Random genetic variation produced prinias that had more individualistic egg coloration; that giving the prinias a selective advantage, over time selection promoted any tendency towards further egg color diversity. Wow, thanks, Greg. 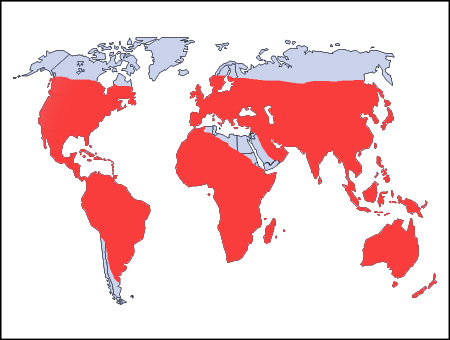 I’ve never run across that before; it’s really interesting. I guess it’s essentially the visual analogue to the Fairy Wren strategy. It certainly seems like an individualised approach works best if one can manage it.